Malta is known for it’s beautiful weather and charismatic atmosphere. However, according to the ‘Quality Of Life Index’ issued by International Living last year, it was one of two countries to receive first place as Best Climate, sharing the title with Zimbabwe. With many other virtues the country earned third place overall in the Index, currently behind the US and New Zealand. With a landmass of just 122 square miles, the country can easily hold its own against fellow competing countries. A stable government, economy and a modern health service all carry great significance to many English and Europeans looking to relocate from their cooler climes. The temperature in Malta rarely drops below 70°F, even in November, and flights to many European capitals are just three hours away. Crime is low, education levels are high, and there are a number of English-speaking hospitals and schools. As a result, homes and apartments have now attracted a strong international presence. Domestic buyers, however, aren’t the only ones to recognise the reputation of the island’s property potential. Malta attracts hedge fund managers to re-domicile the island as a result of a well-regulated and cost-competitive jurisdiction, which has spurred more demand for high quality homes in the sun. Back in 2000, this was not the case. The island had a loyal following of repeat overseas visitors, but nothing noteworthy. Despite its geographic location and abundance of sun and sea, Malta’s lifestyle as an up-market destination had little relevance for the aspiring overseas homebuyer. This, however, soon changed. George Fenech, the chairman of Tumas Group, pioneered the lifestyle concept in Malta, which started with a €140m dream. He wanted to enhance the quality of life for those buyers who could then make the right investment decision. 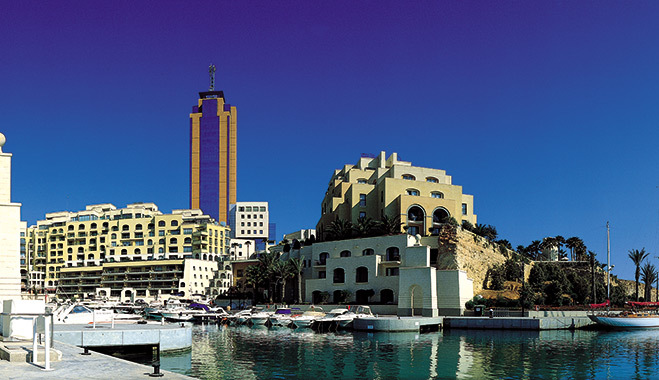 His original vision of the Portomaso marina would bring Malta to the attention of the international property market, and for the 2005 International Property Awards won the gold in the Best Marina Development category. As a result, Portomaso was acclaimed the most exclusive address in Malta, and became home to well-established international celebrities, including actors and footballers. Those that invested and bought property twelve years ago in 2000 have seen the value rise by over 300 percent. Rental returns, too, have risen from a mere 0.6 percent to 10 percent. Today, two more luxury developments in the north and south of the island are already reaching completion, due to Tumas Developments. Each development boasts expectations of luxury, safety, tranquillity and a certain high calibre lifestyle. Tas Sellum and Ta’ Monita have been designed to suit most requirements. Tas-Sellum have one-bedroom apartments of 68 square miles, which start at €158,000 reaching €1m for larger apartments. Ta’ Monita has apartments starting at €98,000 to over €1m. Both residences allow the buyer to purchase more than one property in Malta and Gozo for private use or for business, due to them being part of the Special Designated Areas (SDA).